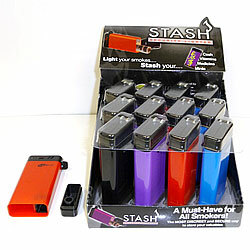 The bottom of the Stash Lighters pops off for secure storage, making it a great option for anyone who needs to be a little extra discreet when storing their material. The storage compartment is extra secure, so there is no need to worry about spilling when carrying it in your pocket. 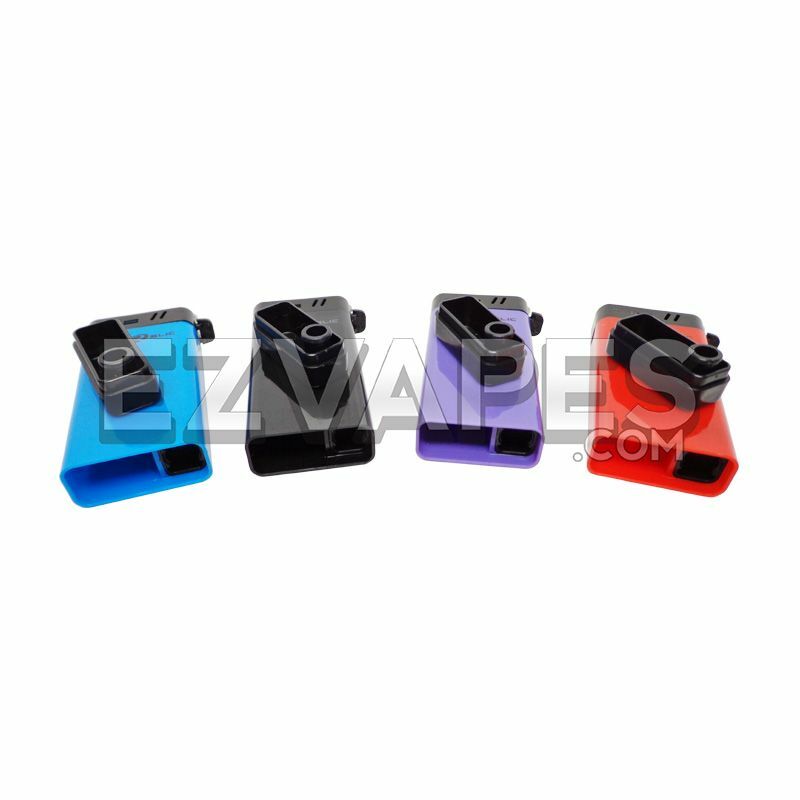 Comes in black, purple, red, and blue.